After a long wait, strong indications have emerged that the Ogun State leadership of the All Progressives Congress (APC) has finalised arrangements to unveil its preferred governorship candidate. 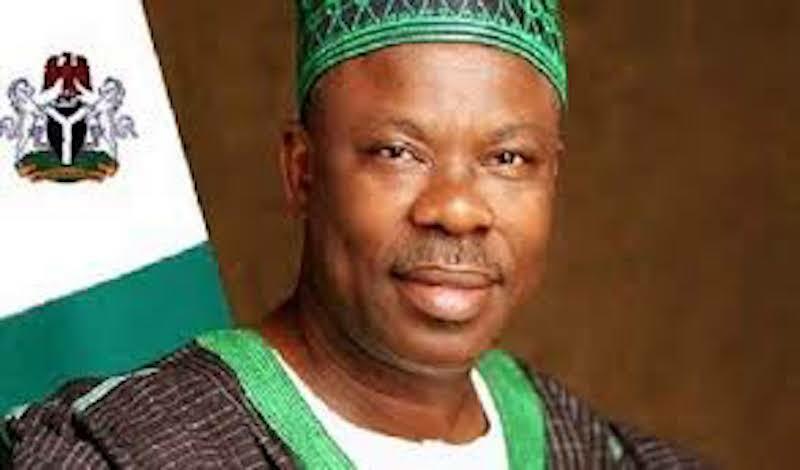 Feelers from the state secretariat of the party hinted that the state leadership of the party was prepared to announce the successor to Governor Ibikunle Amosun from among the strong contenders to the exalted office. The decision would end the ‘hide and seek’ game the governor deployed in the recent past, ostensibly to buy time. Notwithstanding, recent events by the three major political parties, APC, Peoples Democratic Party (PDP) and the ‘third force’, African Democratic Congress (ADC) appear to be altering the political equation in Ogun. Following the withdrawal of an APC strong contender, (Sen Solomon Olamilekan Adeola), the chances of Ogun West (Yewa/Awori zone) presenting a consensus candidate is already shrouded in uncertainty. The initial aspiration of the Lagos West lawmaker had stirred the hornet’s nest and sought to strike a balance with whoever the incumbent governor is. 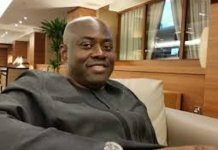 The exit of Adeola, a formidable aspirant, may have sealed the chances of a Yewa candidate coasting home to victory in the 2019 governorship election in the state. With Adeola’s withdrawal, the coast is clear for Amosun to unilaterally a successor, without input from stakeholders from other zones. Lack of cohesion among the aspirants, has been identified as a major threat, to forging a common in order to come up with a consensus candidate. The development has signalled a repeat of the outcome of the 2011 Ogun State governorship where two Ogun West candidates (Prince Gboyega Isiaka and retired Gen Adetunji Olurin) emerged and contested against each other, thus making it an easy win for the incumbent governor, Amosun, an Action Congress of Nigeria (ACN) candidate, who is from Ogun Central (Abeokuta). 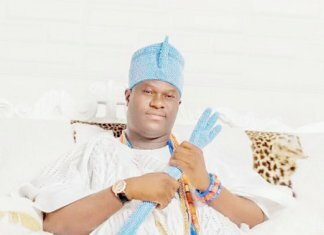 An Ogun East APC governorship aspirant, Otunba Jimi Lawal, said recently during his official declaration, “Ogun West lacks unity and the political strength to win the governorship in 2019. If APC wants to lose Ogun State governorship, they should insist on Ogun West. Ogun West has only five local government areas. 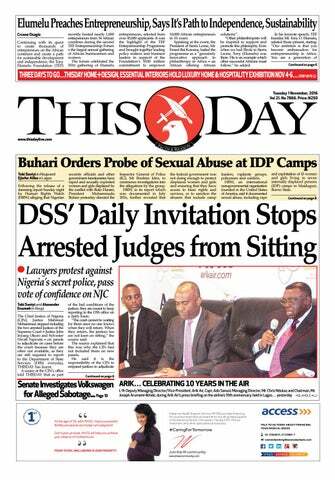 They are already divided because ADC is fielding Gboyega Nasir Isiaka (GNI)”. No fewer than nine governorship aspirants (of Ogun West stock) on the APC platform have signified interest in the plum job. They are Chief Kola Lawal (current Ogun State Commissioner for Forestry), Engr Tope Kuyebi, Prince John Adegbola, Hon. Adekunle Akinlade (lawmaker representing Yewa South/Ipokia Federal Constituency), Hon. Abiodun Ishaq Akinlade (ex-lawmaker), Rt Hon. Suraj Adekunbi (Speaker, Ogun State House of Assembly), Chief Tolu Odebiyi (Ogun State Governor’s Chief of Staff), Prince Aderibigbe Tella and Chief Biyi Otegbeye. However, two aspirants, Kola Lawal and Tope Kuyebi, are said to be most favoured, standing tall high and wielding perceptible influence among the Yewa elders and leaders on account of their humility, acceptability, pedigree, clout, wealth of experience and educational qualification. 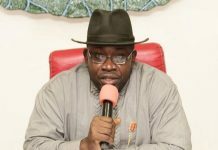 The peace that has pervaded the ruling party until recent times, is predicated on the subtle delay the governor, has deployed in enthroning sanity, a development many political watchers have observed as a ‘postponement of the evil days’. Amosun had pledged to unveil the identity of his successor, shortly after the last Ramadan fast. On another occasion, the governor chose to make the announcement, immediately after the last July 14 Ekiti State Governorship poll. Subsequently, a new expectant date was slated after the Eid-el-Kabir festival. Enmeshed in a controversy of supremacy battle, with attendant litigations and counter-litigations, the protracted crisis rocking the national leadership of the PDP have extended to Ogun State, with no solution in sight. Currently, two groups are laying equal stake to the control of the party. The Sen. Buruji Kashamu’s group led by its state chairman, Engr. Bayo Dayo, occupies and holds sway at the state party secretariat, Abeokuta, while another faction owing allegiance to ex-Governor Gbenga Daniel, Chief Jubril Martins-Kuye, Chief Yemi Akinwonmi, Chief (Mrs) Mathilda Iyabo Apampa, has Alhaji Sikirulai Ogundele as its chairman. With no end in sight, the party has, in recent times, suffered a mass exodus of its chieftains to either the ruling APC or the ADC. The chieftains affected in the gale of defections include Chief Sarafa Ishola, ex-Minister for Mines, Chief Jide Awosedo, Chief Femi Majekodunmi, Chief Bode Mustapha, ex-PDP National Treasurer, Chief Tunji Akinosi, ex-Ogun State PDP Youth leader and others to the APC. Those who have moved over to the ADC are Prince Gboyega Isiaka, a two-time former Ogun State governorship candidate, Chief Joju Fadairo, ex-Ogun State PDP Chairman, Dr Gbolade Oshinowo and ex-Ogun East APC leader. But the last straw that broke the camel’s back was the recent expulsion of the Ogun East Senator, Prince Buruji Kashamu, the Ogun State PDP Chairman, Engr Bayo Dayo and two other chieftains, Semiu Sodipo and Segun Seriki from the party by the National Working Committee (NWC) of the PDP, over allegations of anti-party activities. According to the National Publicity Secretary of the party, Mr. Kola Ologbondiyan, the sanctioned chieftains erred during the last July 14 Ekiti State Governorship election and worked against the interest of the PDP candidate. “The party took disciplinary action against the members who have been hobnobbing with the APC in ways that were detrimental to the intended of the party”, said Ologbondiyan. The sanction on the four chieftains has further deepened the gulf of crisis in Ogun PDP. 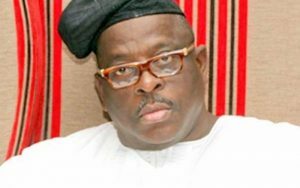 The embattled Ogun East senator, Kashamu stormed the PDP Secretariat with scores of supporters drawn from across the three senatorial districts in the state, in a show of popularity, turned a mega rally. Speaking at the rally, Buruji restated his valid membership of the party and faulted the purported expulsion slammed on him, insisting that “any illegal pronouncement of my expulsion is a sheer waste of time.” How can somebody expel you when you are committed to the party? The party doesn’t belong to an individual. 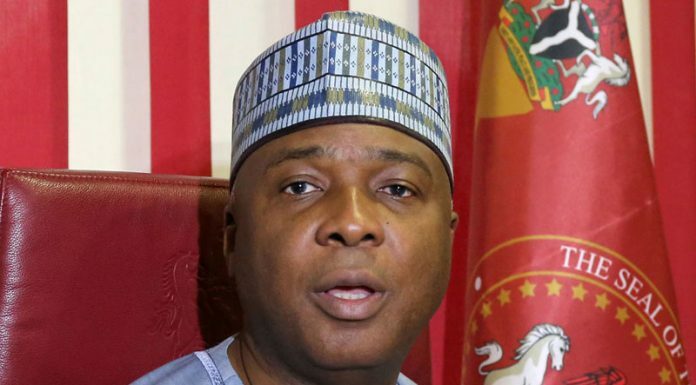 I want to authoritatively inform you that I have court orders preventing me from being expelled from the party,” said the senator. Meanwhile, two Ogun East APC governorship aspirants, Sen Adegbenga Kaka and Otunba Jimi Lawal, on separate occasions warned against grave consequences if the state leadership of the party fails to throw the governorship ticket open to all aspirants from the two districts – Ogun West and Ogun East. 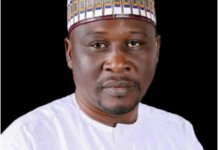 Kaka, a former Deputy Governor of the state, appealed to the leadership of the party to give people free hands to decide who should fly the party’s ticket. Not left out, Lawal, former Managing Director of the moribund Alpha Merchant Bank, in response to a bombshell dropped by the State Chairman, Chief Derin Adebiyi, when he claimed that certain key positions have been zoned among the three senatorial districts, kicked against zoning arrangement, insisting that “zoning is not in the APC’s constitution.” He declared that zoning and level-playing ground do not go hand-in-hand and counselled that the party should resort to direct primary as applicable in the last July 14 Osun State APC governorship primary that produced Gboyega Isiaka Oyetola, as the flag-bearer. 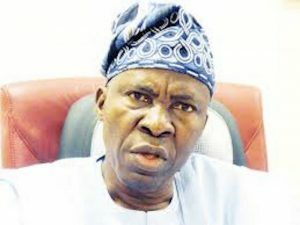 Sequel to the earlier public pronouncement by Amosun to zoning the governorship ticket to Ogun West, Dr Gbolade Oshinowo, an erstwhile Special Assistant (SA) to ex-President Olusegun Obasanjo on Political Matters, sounded a note of warning to the governor to jettison his earlier stance on the rotation or else he (governor) should be prepared for the attendant dire consequences of losing power to an opposition. Oshinowo, a former Ogun East APC chieftain, advocated for a level-playing ground among aspirants from the two senatorial districts-Ogun West and Ogun East-laying equal claims to the coveted seat and producing a unanimous candidate to fly the party’s ticket in the coming 2019 general elections. Oshinowo, who is also an Ijebu-Igbo-born politician with the embattled Ogun East Senator, Kashamu, predicated his arguments on the premise of the PDP control of Ijebu-Remo (Ogun East) axis. Oshinowo, who is the current Ogun State ADC chairman, noted that, “I have nothing against zoning the governorship ticket to Ogun West, but the Ijebus should be allowed to participate. I was a leader of the APC in the Ogun East, If you look at the results of the last circle of elections around here, PDP had an upper hand. They won the senatorial ticket. They won more of the House of Representatives seats and more of the State House of Assembly seats. Already, we are at a disadvantage. You can’t play politics like that, because it would put us at a disadvantage. Ogun East already is a stronghold of the PDP. Most of us in APC are in a battle ground situation here. You cannot alienate the Ijebus further by zoning the governorship out of their area. By not allowing them to participate makes the position of the leaders of APC in Ogun East very difficult, virtually untenable,” averred Oshinowo. Against all odds, Kashamu remains a strong force to reckon with, in the political permutation of Ogun State. Deft in grassroots politics, he understands the plight of an ordinary citizen. At every election, especially within his immediate Ijebu North Local Government Area, Kashamu, like a cat with nine lives, has always delivered elective offices for his party. A couple of weeks ago, another strong contender, Prince Dapo Abiodun, former 2015 Ogun East APC senatorial candidate and chairman, Heyden Oil & Gas Limited, joined the fray. The arrival of Abiodun, an indigene of Iperu-Remo and a bosom friend of Amosun is already sending jitters down the spine of his rivals. Nonetheless, an Ogun East APC chieftain who craved anonymity, has admonished the state leadership of the party, not to undermine the population of Ogun East; the composition of nine local governments (Ijebu North, Ikenne, Remo North, Ijebu North-East, Ijebu-Ode, Ogun Waterside, Sagamu, Odogbolu and Ijebu East) and the economic status of the illustrious sons and daughters of Ijebu-Remo zone, before ceding the governorship baton to Ogun West district.